Essential oils are great to have on hand. Not only do they smell great, but they can be used as natural remedies, personal care products and homemade cleaners, as well. There are numerous essential oils available with all types of uses, but these four are a necessity in the bathroom. Lavender offers so many different uses – medicinally as well as for home care. If you had to choose just one essential oil, this would have to be it. Applied topically, it can be used to soothe skin rashes, the pain and itch of an insect bite, minor burns and acne. It can also serve as an effective disinfectant for cuts and scrapes. Add a few drops of lavender oil to your bath after a hard day, to calm frayed nerves and to help you get a better night’s sleep. If you have a headache, just rub a bit of the oil onto your temples and forehead while breathing deeply to help relieve it. By combining a couple of drops with baking soda and water, lavender also makes for an effective, chemical-free deodorant. Tea tree is another one of the most beneficial essential oils you can have in your medicine cabinet, as it can be used topically to help remedy practically any common ailment due to its antibacterial and antifungal properties. Use it for acne, cold sores, athlete’s foot, nail fungus, insect bites and dermatitis. Add a few drops to your shampoo to help alleviate dandruff. Peppermint essential oil is analgesic, anti-inflammatory and antibacterial. You can massage a few drops of this oil onto your abdomen to help relieve stomach cramps or nausea. Adding a drop or two to cool water can make a great foot soak to soothe tired, aching feet. If you or your pet gets a tick, using a drop or two of undiluted peppermint essential oil can help to draw the insect out. Blend a few drops with a tablespoon of coconut oil and use to soothe sore muscles. If you tend to have dental issues, clove essential oil is an absolutely must to have on hand. It’s been used for centuries for dental problems, and studies have shown it to have analgesic as well as antibacterial properties. It’s considered by many to be one of the best treatments for a toothache and gum disease. Clove oil can also be used to help treat a cold sore or canker sore. Just keep in mind that clove oil should always be diluted, as it’s very strong. You can do this by blending a few drops with a tablespoon or so of coconut oil. Other uses for the diluted oil include fungal infections, insect bites, cuts and scrapes, athlete’s foot, bruises and earaches – dab a cotton swab into the diluted oil and then tuck it just inside the ear canal. 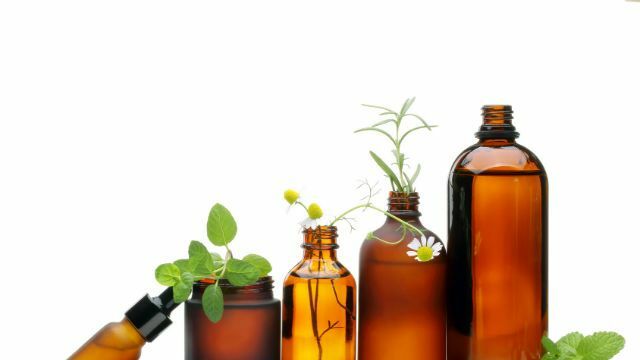 Using essential oils rather than turning to store-bought, chemical-filled products is often not only just as effective, but likely to help you save your hard earned money – and your health. 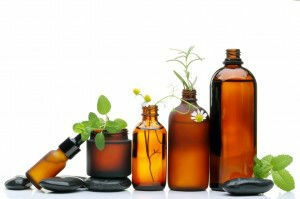 Hey Buddy!, I found this information for you: "4 Essential Oils You Must Have in Your Bathroom". Here is the website link: https://www.thealternativedaily.com/4-essential-oils-must-bathroom/. Thank you.